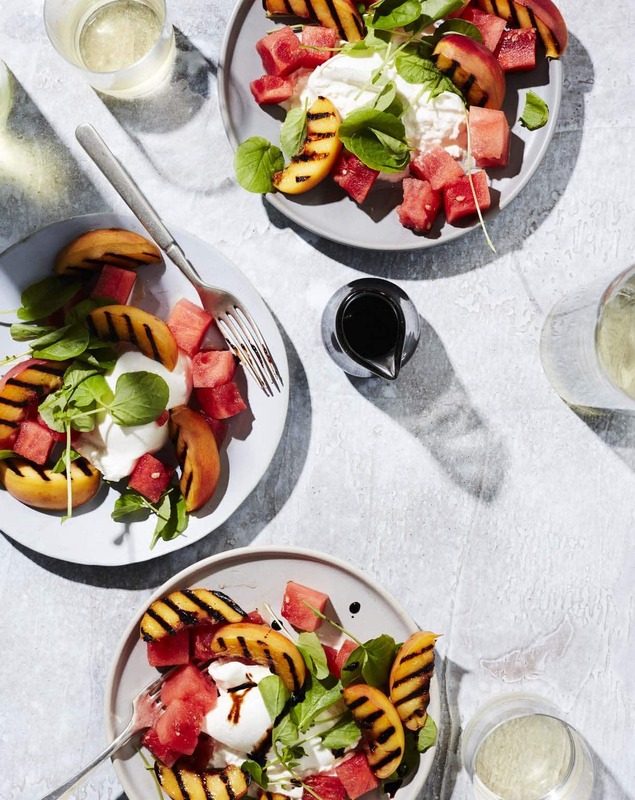 Although burrata—a fresh cheese made with mozzarella and cream—is undeniably the star of this light summer salad, the juicy grilled peaches and refreshing watermelon are pretty hard to resist. This salad also happens to be gorgeous, and it comes together fast. The perfect light summer meal! You can add grilled chicken or shrimp if you want more protein.